With an impressive combination of refined handling, dynamic performance, and elegant interior styling the Alfa Romeo Giulia is a truly remarkable sports sedan. 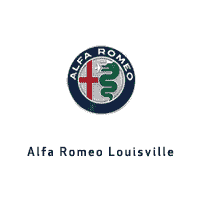 Alfa Romeo Louisville has attractive leasing options and a dedicated staff of finance professionals prepared to answer your questions. Explore the benefits of leasing an Alfa Romeo Giulia from Alfa Romeo Louisville. Flexibility – Enjoy every mile of driving your Giulia for the duration of your lease term. Once it ends, simply return the vehicle and choose another Alfa Romeo. Freedom to select a new vehicle every few years is an excellent advantage of leasing. No Impact on Trade-In – Once your lease term concludes, you will not have to worry about the current trade-in value of your Alfa Romeo Giulia. Simply return the vehicle and choose another exciting model from the Alfa Romeo lineup. Reduced Monthly Payments – When compared to financing a Giulia, often payments will be lower with a lease. This is largely due to the fact that the vehicle is leased for a fixed time period and includes a set mileage.